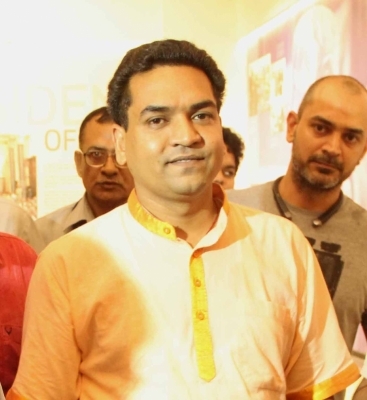 New Delhi, May 14 (IANS) Suspended AAP leader Kapil Mishra on Sunday accused AAP of lying to the Election Commission (EC) about donations and laundering money through shell companies, before he fainted midway through the presser and was hospitalised. The AAP dismissed the charges as a “conspiracy” by the BJP and said the latter was shooting from the sacked minister’s shoulder. Mishra alleged that the AAP had over Rs 45 crore in its account in 2013-2014, but in its declaration to the poll panel it showed only Rs 9 crore, thereby concealing around Rs 36 crore. “Three years later, when the EC sent a notice to the party asking for details of the declared Rs 9 crore, the party clarified they had Rs 30 crore,” Mishra said at a press conference held at his official residence here. “I have all the documents pertaining to the party’s financial transactions which include 461 bogus entries in their account books,” Mishra alleged. “It is a conspiracy to de-recognise and de-register the AAP and the BJP is totally involved. What Kapil Mishra says, the BJP repeats it. What the BJP says, Kapil Mishra repeats,” AAP leader Sanjay Singh said. Mishra said since 2013, the AAP has been converting its black money into white through foreign trips of its senior leaders — Durgesh Pathak, Ashish Khetan, Satyendar Jain, and Raghav Chaddha. “Most of the black money was routed through Krishna Nagar branch of Axis bank… Today, people have come to know why Kejriwal was so opposed to demonetisation as he was involved in black money transactions,” Mishra said. “I will go to the CBI with the evidence. After all this is investigated, he (Kejriwal) will go to jail,” Mishra said. As he brandished some cheques before reporters, Mishra fainted and was taken to Ram Manohar Lohia Hospital here. His condition was stated to be “stable”. Countering Mishra, AAP leader Sanjay Singh questioned the authenticity of the “fake cheques”. “Anyone can do this. Even I can make such cheque for Rs 70 crore in BJP’s name,” he said. Sanjay Singh said the BJP and the Congress never made declarations of about 70-80 per cent of their donations totalling “Rs 1,000 crore in the last 10 years… received from unknown sources”. “You (the BJP) are the same party whose (then) national President (Bangaru Laxman) was caught on camera while accepting bribe in a defence deal. You readmitted (former Karnataka Chief Minister) Yeddyurappa after sacking him on corruption charges. Despite 54 deaths in the (Madhya Pradesh) Vyapam scam, the BJP is silent,” he said.